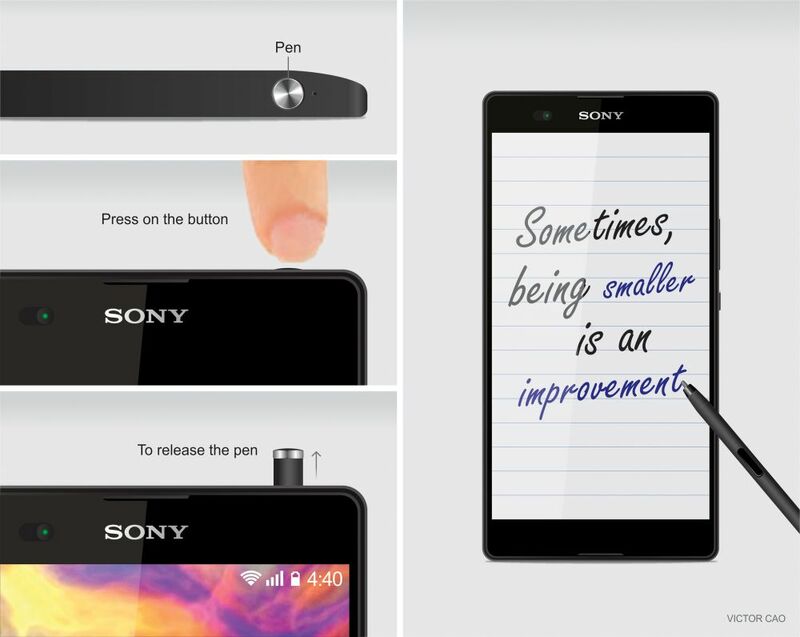 Many considered the Sony Xperia Z Ultra to be a too big phablet, but a device with a huge potential, thanks to its ultraslim design. All the successor, the Xperia Z2 Ultra needs is a smaller screen and more powerful hardware… and that’s exactly what Victor Cao offers in the render below. He envisions the Sony Xperia Z2 Ultra as a phablet with a smaller display and a Sony stylus specifically created in order to interact with drawing apps. This model looks very hot, particularly the back side, that seems to be made of metal. 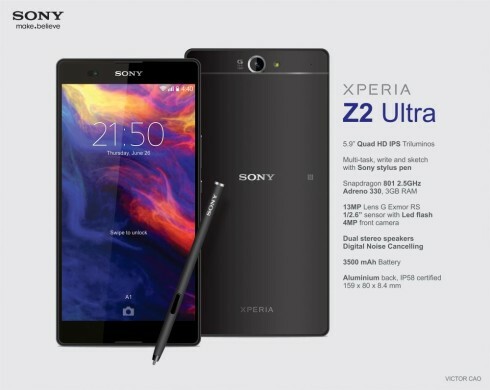 The Xperia Z2 Ultra packs a 5.9 inch Quad HD display with Triluminous technology, a Snapdragon 801 2.5 GHz processor, the Adreno 330 GPU and 3 GB of RAM. We also get a 13 megapixel Exmor RS sensor on board, measuring 1/2.6 inches and a front 4 megapixel camera. The phablet integrates dual stereo speakers, digital noise cancelling and a 3500 mAh battery. It’s IP58 certified, integrates an aluminum back and measures 8.4 mm in thickness. The stylus is totally integrated into the handset and its top side is actually a button, that releases the stylus, a pretty smart idea actually.